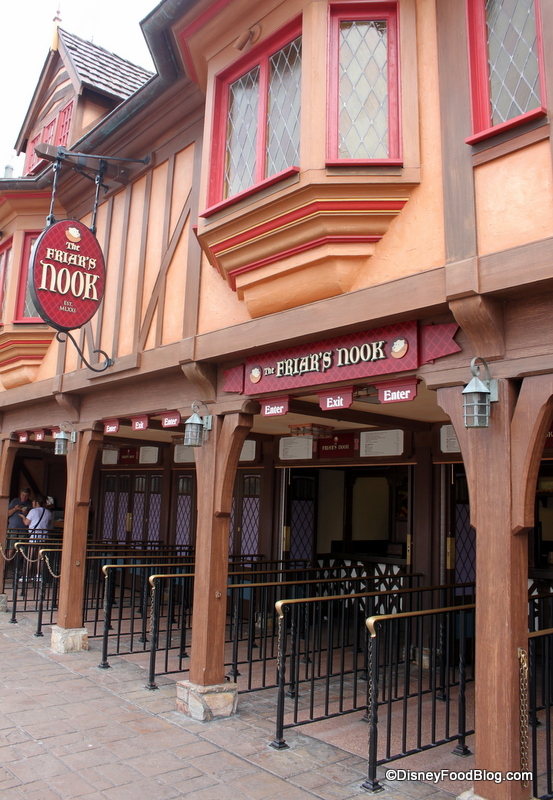 The Friar’s Nook in Magic Kingdom’s Fantasyland is a great place to grab a quick bite, like chicken nuggets, a hot dog, or a Caesar salad, but right now we’re excited about the new variety mac-and-cheeses they’re serving! While we are sad to see the homemade chips go (since they were a nice replacement for the dearly departed Figaro Fries at Pinocchio Village Haus), we’re excited about the new menu items. Hot dogs, bacon and cheeseburger mac-and-cheese, macaroni and cheese, apple and caramel dippers, and various drinks. Located directly next to Storybook Treats.